With funding budgets decreasing and universities in the UK falling in the prestigious QS rankings,3 researchers need to prove they are contributing to their profession more broadly. It is no longer enough for researchers just to be doing research: funding organizations are looking for new indicators, beyond publication data, to identify the up-and-coming experts in breakthrough science. The only way for universities to stay competitive is to adapt to this change of culture. Academic librarians need to help find and utilize the platforms that showcase all of their researchers’ outputs. This will not only boost the researchers’ profiles (and, by extension, that of the university), but will also demonstrate their commitment to supporting early career researchers in activities that extend beyond the publication of their research. Publons4 was established in 2012 by Andrew Preston and Daniel Johnston as a free service to help researchers keep a verified record of their previously hidden peer-review activity. It is a unique cross-publisher platform that collects the world’s peer-review activity, providing (at the time of writing in early 2018) over 300,000 academics with verified records of their reviewing contributions across all journals. These academics hail from all corners of the globe, with researchers in Europe and the US showing the highest levels of engagement. 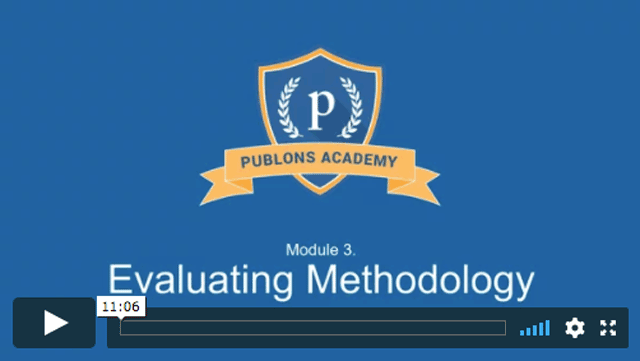 learn and practise how to review while building out their profile as a qualified peer reviewer via the Publons Academy – free online peer-review training. Peer review is central to our ability to trust scientific research, but it has been an unreported research output. It has traditionally been performed in silos and behind closed doors, concealing an expert’s full output and impact; Publons’ reviewer recognition service changes that by providing verified evidence of this once-hidden activity. Reviewers like Amanda Salis, a health professor at the University of Sydney, leverage these data to use in grant, fellowship, promotion, tenure and Green Card applications. In 2017, for example, Salis included her Publons Verified Record and the Publons Peer Review Awards5 that she had received on the network in her promotion and senior fellowship applications.6 Both applications were successful, which Salis in part credits to the change in research culture and the new criteria by which researchers are judged, as well as insight from peer review in general. In June 2017 Publons was acquired by Clarivate Analytics,7 a global objective data-driven research solutions provider. The scale and reach of Clarivate combined with Publons’ large reviewer network is a powerful force: one that will be able to increase trust and efficiency in the world of research, and offer researchers, publishers, research funders and institutions better insight into review and editorial workloads. According to Publons’ database of over 325,000 reviewers and 1.7 million reviews, a researcher can review on average between three to ten papers a year. The 2016 Publishing Research Consortium survey calculated that researchers spend an average of five hours reviewing each manuscript they accept.8 That means, for an institution with 500 researchers, between 937 to 3,125 working days of critical time, effort and expertise goes unreported. Publons helps universities leverage that untapped research output in order to measure, improve and promote their faculty’s influence in their field. Universities who partner with Publons gain access to their own customized, contextualized and verified peer-review reports. These capture the quantity of peer review their researchers are already doing, and the breadth and quality of the journals they are working for. Universities can also see who their researchers are connecting with as reviewers and editors worldwide, and use that data to strengthen their international ties with top funding bodies, journals and research institutes. Some partners use an API to pull data from Publons directly into their current research information systems (CRIS) to populate their own records with Publons data. Victoria recently partnered with Publons to ensure better review and research outcomes for students and staff across its entire research community.10 Part of this included helping its faculty strengthen their researcher summaries for the Performance-Based Research Fund,11 which allocates public funding in the tertiary education sector. Publons provided review and editorial summaries of Victoria’s researchers on Publons to showcase a comprehensive view of their output and expertise, and improve Victoria’s chances of securing funding in a competitive environment. Publons also grows and upskills academics across all levels with peer review training. The Publons Academy13 is the pre-eminent peer review training course that equips all researchers with the skills and connections they need to master peer review and impress journal editors. Developed together with world-renowned researchers, peer reviewers, journal editors and Nobel Prize winners, the Publons Academy (see Figure 3) provides researchers with a platform to practise and demonstrate their reviewing expertise, and connect them with the editors who need to grow their reviewer pools. a featured appearance on the Journal Dashboard for partner journals in their field, allowing editors to access a growing pool of eager, new expert reviewers. Universities that partner with Publons benefit from supplemented researcher development programmes and a reduction in the teaching and administrative burden for senior staff, as well as having their researchers’ expertise and activity in their field promoted. The Publons Academy also helps academics enhance their writing and researching skills, which gives them a better chance of getting their own novel ideas through review. Peer review is an old system, begun in the 18th century by the Philosophical Transactions of the Royal Society of London,14 but it still lies at the heart of research. Its importance extends beyond the quality and credibility it brings to scholarly communication. Peer review demonstrates that experts are contributing to research beyond their own academic articles. It is time for this work to get the recognition it deserves, and academic librarians have the power to drive this forward. They can leverage the hard work researchers are already doing to enhance their profile, and to show their institution is at the forefront of a significant change: one that pays greater attention to research outputs that bring about better research outcomes, such as peer review. The authors have declared no competing interests and have noted that they are employees of Publons. Sewell C and Kingsley D, Developing the 21st Century Academic Librarian: The Research Support Ambassador Programme, New Review of Academic Librarianship, 2017, 23(2–3), 148–158: https://www.tandfonline.com/doi/full/10.1080/13614533.2017.1323766; DOI: https://doi.org/10.1080/13614533.2017.1323766 (accessed 13 March 2018). Anyangwe E, 12 April 2011, Behind the job title: university librarian, The Guardian: https://www.theguardian.com/higher-education-network/2011/apr/12/university-librarian (accessed 15 January 2018). Adams R, 7 June 2017, UK universities fall down global league tables after budget cuts, The Guardian: https://www.theguardian.com/education/2017/jun/07/uk-universities-fall-down-global-league-tables-after-budget-cuts (accessed 15 January 2018). Publons: https://publons.com/home/ (accessed 1 March 2018). Publons Peer Review Awards: https://publons.com/community/awards/2017/ (accessed 26 March 2018). Publons, 2018, From submission to success: peer review in promotion and fellowship applications. Publons case study: https://publons.com/community/amanda-salis-case-study (accessed 19 January 2018). Preston A and Johnston D, 2 June 2017, Publons Joins Clarivate Analytics: The Future of Peer Review, Publons blog: https://publons.com/blog/publons-joins-clarivate-analytics/ (accessed 15 January 2018). Publishing Research Consortium, 19 May 2016, Publishing Research Consortium peer review Survey 2015 Report, Mark Ware Consulting, PDF: http://publishingresearchconsortium.com/index.php/prc-documents/prc-research-projects/57-prc-peer-review-survey-2015/file (accessed 18 April 2018). Publons, 2016, The University of Queensland Library and Publons – Revealing previously hidden contributions to world research, Publons case study: https://static1.squarespace.com/static/576fcda2e4fcb5ab5152b4d8/t/57dfbcf7c534a555a909869e/1500355615880/UQ_case_study.pdf (accessed 13 March 2018). Publons, 11 June 2017, Victoria University of Wellington Puts Peer Reviewers On Course, Publons blog: https://publons.com/blog/victoria-university-of-wellington-put-peer-reviewers-on-course/ (accessed 13 March 2018). Performance-Based Research Fund: http://www.tec.govt.nz/funding/funding-and-performance/funding/fund-finder/performance-based-research-fund/ (accessed 15 January 2018). Australian Research Council, 2018, Excellence in Research for Australia 2018 Submission Guidelines: http://www.arc.gov.au/sites/default/files/filedepot/Public/ERA/ERA%202018/ERA%202018%20Submission%20Guidelines.pdf (accessed 1 March 2018). 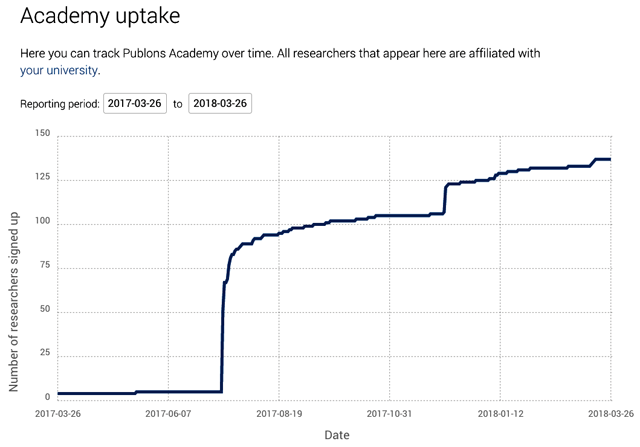 Publons Academy: www.publons.com/academy (accessed 1 March 2018). The Royal Society, Philosophical Transactions - the world’s first science journal, The Royal Society: http://rstl.royalsocietypublishing.org/ (accessed 18 April 2018).